The National Bank of China has agreed to extend the range of projects the Ukraine’s cash-strapped Naftogaz can fund with a $3.6 billion credit line agreed in 2012. “Given the current situation in Ukraine, the Ministry of Energy and Coal Industry of Ukraine and Naftogaz continue negotiations about the possibility to substitute some of the projects and partially extend the lending purpose of the credit agreement signed by Naftogaz of Ukraine and the China Development Bank in 2012,” Naftogaz said in the statement Thursday. 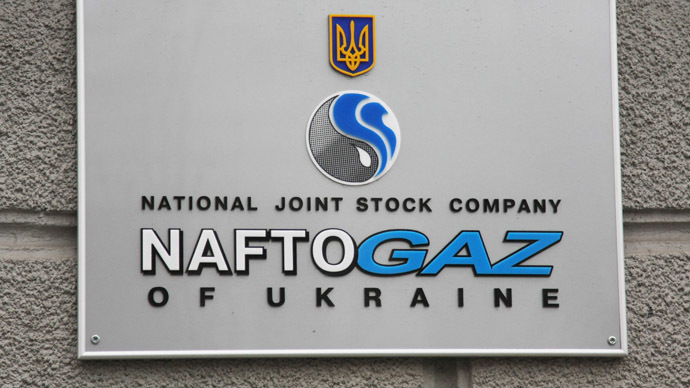 Projects Naftogaz can now fund with the Chinese loan include upgrades to the country’s biggest gas company Ukrgazvydobuvannya, as well as the Poland-Ukraine gas pipe interconnector. “So far there are no talks on changing other contract terms or signing new deals with other Chinese institutions,” Naftogaz added. The Ukrainian gas company has a couple of days before the March advance payment deadline for Russian gas deliveries. If Ukraine fails to pay, Russian supplies of gas may be cut on Saturday. Last week Naftogaz suspended gas supplies to Donbass, citing damage to the pipeline. Russia then started separate gas deliveries to the war zone.